Phillip River’s team has beaten Manning led teams twice in the playoffs in the past. One amazing aspect is if you go back to the beginning of the 2012 season, it was up in the air how the Manning tenure in Denver was going to go. 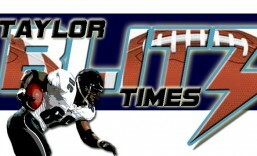 They were 2-3 when they were down 24-0 to the San Diego Chargers. 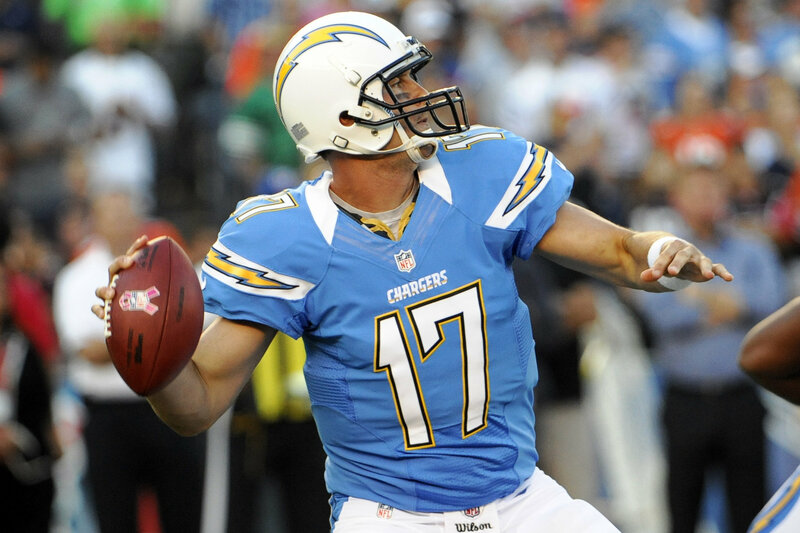 Phillip Rivers was having his customary good game when the wheels came off. Denver roared back to win 35-24. http://www.pro-football-reference.com/boxscores/201210150sdg.htm The Broncos went on to win the final 11 games of the season while San Diego lost 7 of their last 11. They even lost their coach as Norv Turner was fired. 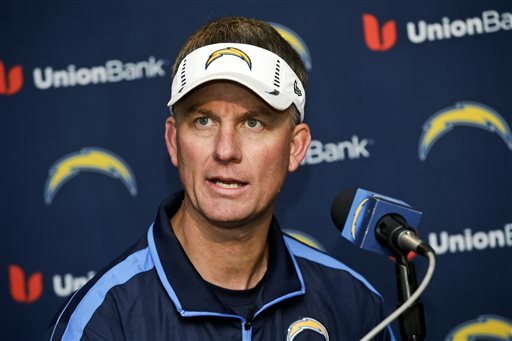 So the Chargers brought in the Denver Broncos offensive coordinator when they made Mike McCoy their head coach. You don’t think he brought information with him to Southern Cal playbook information?? You don’t think that Chargers defense doesn’t know Bronco tendencies and formations? The Chargers quite frankly shouldn’t be here. They struggled against a Chiefs team that was playing mostly back-ups. Yet here they are playing with house money. They ran the football 40 times in the upset of Cincinnati and now they get to rematch and close the circle against Manning and the Broncos. 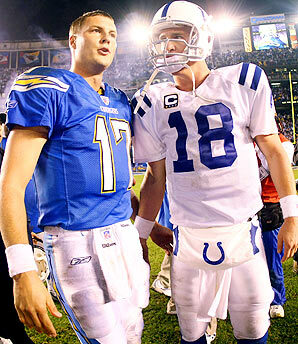 Did you know that Phillip Rivers is 6-2 v Denver?? The key to San Diego winning at Invesco Field is to run the football like that with Ryan Matthews again. Without Von Miller and Kevin Vickerson, the Bronco defense is missing a lot of firepower v the pass and the run. Ryan Matthews is the key to this football game. For the Broncos they have to run the ball 40 times themselves and take the ball out of Manning’s hands a little. Remember Super Bowl XXXVII when Jon Gruden taught the Buccaneers every tendency of his former quarterback and team in Rich Gannon and the Raiders?? Turned out great for the Bucs in that Super Bowl triumph. We think the same thing is going to happen here. Remember the Chargers are riding a 5 game winning streak. In an upset the Chargers win 30-24. At the end of the NFL 2013 season many experts have the Denver Broncos headed to New York and Super Bowl XLVIII. Why not? We’re talking about the #1 offense in the NFL right now averaging 483 yards per game. Worse part is they just pulverized the #2 offense in the Philadelphia Eagles 52-20 and let’s face it, they could have scored 80. Peyton Manning and the Bronco offense rank first in passing with an average of 383 yards per game with an obscene 179 points scored. Are you serious?? They are on pace to score 719 points for the 2013 season. Now the count will begin elsewhere for the Broncos possibly going undefeated along with shattering numerous passing records in the process. 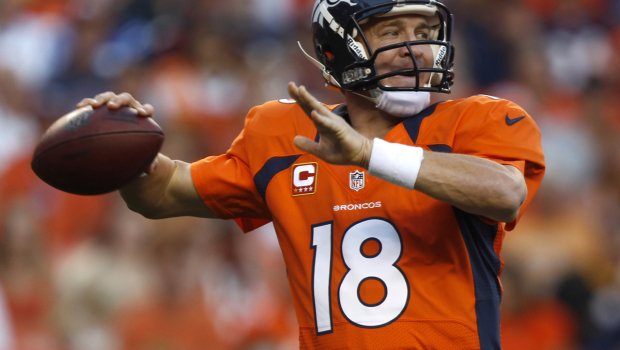 Peyton Manning has turned each of the last four games into a surgeon’s clinic on how to pay quarterback. However posing as the #1 challenger in their own division no less are the 4-0 Kansas City Chiefs. Andy Reid has kept the Chiefs in games playing stout defense and a low risk / high yield offense that doesn’t beat itself with turnovers. Going into last week’s contest with the Giants, Alex Smith was one of three quarterbacks (one was Manning) who had gone the longest without an interception this season. They’re forte through this first stanza of the season has been to play conservative football and not put their 7th ranked defense in a demoralized position. 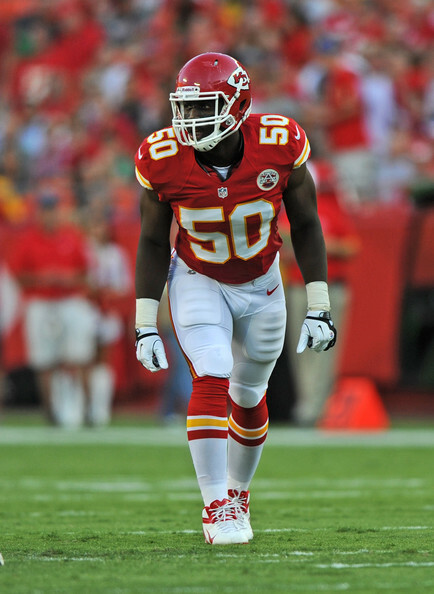 Led by the NFL’s sack king Justin Houston (7.5 sacks) this defense has forced 12 turnovers which includes 3 at the expense of the Giants last Sunday. Lets take a look at the standings. 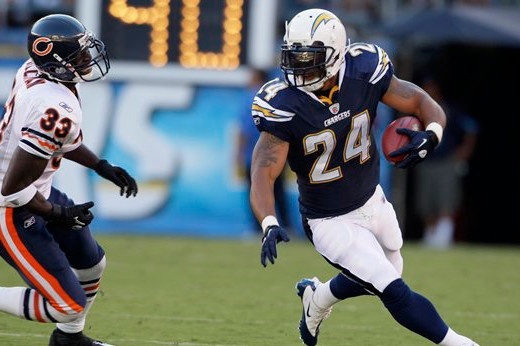 Don’t overlook the San Diego Chargers too quickly. Sure they lost Dwight Freeney for the season with a torn quad, but this is a 2-2 team that could easily be 4-0. They’re only 6 points away from it. 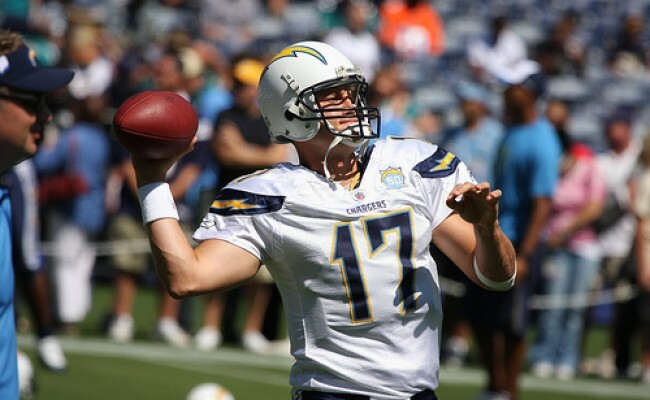 Last Saturday Phillip Rivers tortured the Dallas Cowboys with a 401 yard passing day with 3 touchdowns. 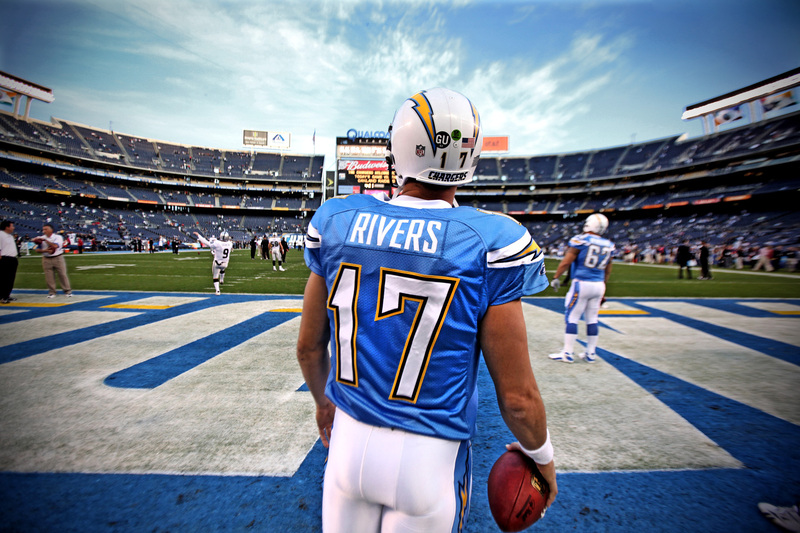 Rivers consistently found the mismatch as he threw all 3 of his TDs against Cowboys linebackers. Danny Woodhead was a surprising star with 2 scoring receptions. Yet the Chargers keep playing very close to the vest affairs that could short circuit their season. Phillip Rivers is off to an unbelievable start in 2013 as well. Lost in the wake of Manning’s performance is the fact Rivers is off on a torrid pace of his own. Through four games he is 105 of 142 for an astounding 73.9% completion rate for 1,199 yards 11 touchdowns to just 2 interceptions. 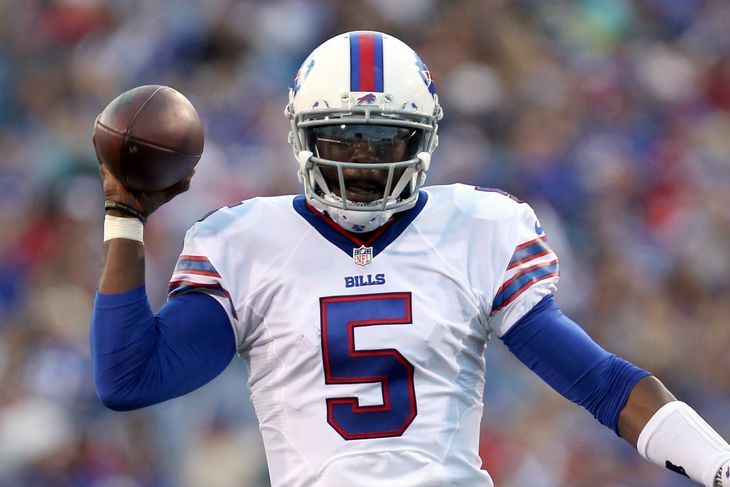 He is on pace to throw for 4,800 yards and 44 touchdowns himself. Can they fast break with the Broncos when they meet them in their two match-ups. Last year the Broncos finished the season on an 11 game winning streak that began overcoming a 24-0 deficit to the Chargers. Each team’s season turned on that game. San Diego finished the season 4-7 which cost Head Coach Norv Turner his job. The Chargers haven’t forgotten and will be looking to pay Denver back in kind. 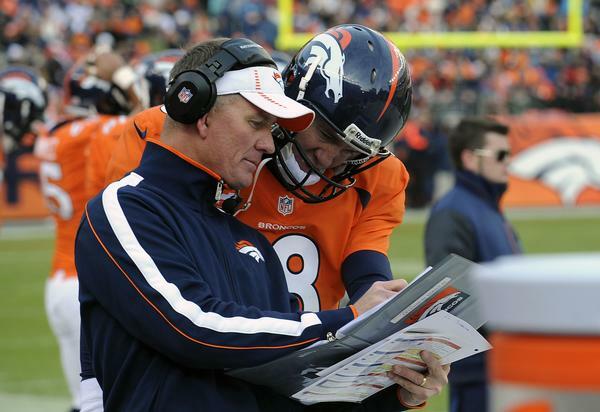 New offensive Coordinator Ken Wisenhunt comes in with a roven background and two Super bowl appearances by his offenses in the last decade. 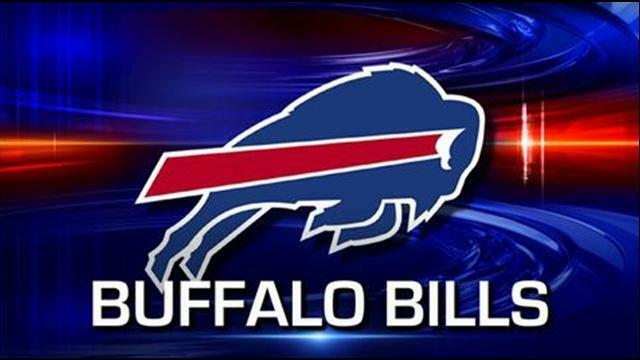 They have to overcome the loss of Dwight Freeney as the season rolls on. As for the Kansas City Chiefs…it’s hard to not cheer for a team that went through the turmoil they had last year. It wasn’t just the 2-14 season they had to endure….most people forget they had a suicide inside their practice facility by a player last year to compund things. Now with a proven winner with a chip on his shulder in Andy Reid (see Sal Paolantonio video leaving field in Philadelphia wo weeks ago) and a proven commodity in former 49er Alex Smith, this team is quietly on a mission. The Chancellor forwarned you about this team: https://taylorblitztimes.com/2013/05/13/2013-kansas-city-chiefs-preview-tools-for-a-resurgence/ This is about redemption in Kansas City and nothing motivates men like when they feel they have something to prove. Just like San Francisco found out last year: A sure-fire champion wakes up in the middle of a season and finds themselves the hunted in their own divisional back yard. As all of NFL coverage has talked about Manning’s torrid start ad-nauseum, keep a few things in mind. On defense the Broncos are 24th in football and the Chargers should be able to score with them. Second Ryan Clady is still inactive and this week the Broncos have to have a back up Tackle play against DeMarcus Ware. This game against Dallas could be interesting.